Carnival Cruise Line today announced that the Carnival Victory will transform into the Carnival Radiance following a massive drydock, representing the final phase of a $2 billion fleet enhancement program, the company said. The refurbishment of Carnival Victory will add the line’s culinary, bar and entertainment innovations and complete an “any ship, any port, any itinerary” level of service and offerings across its fleet of 26 ships, the company announced. Following a 38-day dry dock in Cadiz, Spain, Carnival Radiance will enter service in 2020. Homeport and itinerary details for the new Carnival Radiance will be announced in mid-November. New additions will include Carnival's food and beverage options, speciality dining, shopping and personal care, youth and family activities, new entertainment and more. The Carnival HubApp is now available across all 26 ships in the fleet and running ahead of projections with regard to customer adoption, the company said. More than 20 percent of onboard specialty dining and tour excursion purchases are placed using the HubApp, contributing to the double digit lift in onboard revenue since the HubApp was introduced, Carnival said. 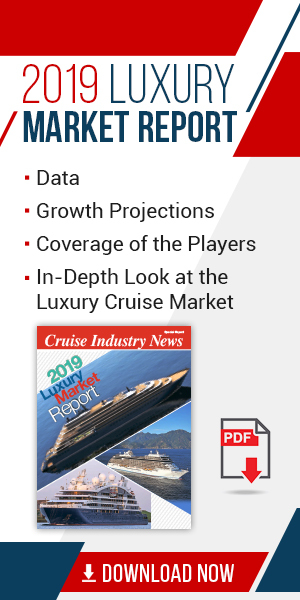 This summer on its two new Vista-class vessels, 40 percent of guests purchased the HubApp’s onboard chat feature and the HubApp is also driving internet revenue, with penetration now averaging more than 50 percent of all guests across the fleet. Carnival is now piloting a “pizza anywhere” delivery capability on select vessels with the eventual goal of allowing guests to order food and drink options directly from the HubApp for delivery to their location onboard. Along with the added HubApp benefits, Carnival is investing in an enhanced Wi-Fi infrastructure to bring more robust service across the fleet by 2021.